A prominent, gregarious, sought-after author, speaker, and business consultant, Ken Blanchard is universally characterized by friends, colleagues, and clients as one of the most insightful, powerful, and compassionate men in business today. Ken’s impact as a writer is far reaching. His phenomenal best-selling book, The One Minute Manager®, coauthored with Spencer Johnson, has sold more than 17 million copies worldwide in 27 languages, and still regularly appears on best-seller lists over 20 years since it was first released! Ken is Chairman and Chief Spiritual Officer of The Ken Blanchard Companies®—a global leader in workplace learning, employee productivity, and leadership and team effectiveness. Using Blanchard solutions, clients increase their impact as leaders, thus enabling them to achieve strategic objectives and drive organizational results. The Ken Blanchard Companies® programs are designed not only to help people learn new concepts but also to ensure that they cross the bridge from learning to doing. He is a visiting lecturer at his alma mater, Cornell University, where he is a trustee emeritus of the Board of Trustees and throughout the years has recieved many awards and honors for his contributions in the field of management and leadership. 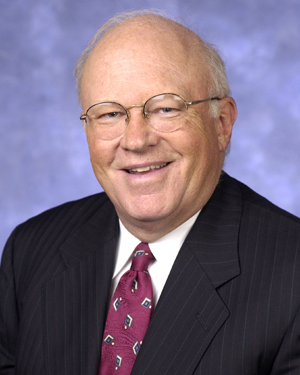 Ken Blanchard has been a guest on a number of national television programs, including “Good Morning America” and “The Today Show,” and has been featured in Time, People, U.S. News & World Report, and a host of other popular publications. He earned his bachelor’s degree in government and philosophy from Cornell University, his master’s degree in sociology and counseling from Colgate University, and his Ph.D. in educational administration and leadership from Cornell University.